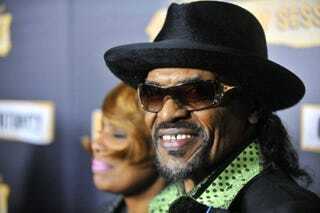 Updated May 17, 2012: Saddened to hear news of Chuck Brown's death, we at The Root remembered back to the time in early 2011 when he caught up with us to talk about a recent Grammy nod and what went into his iconic sound. The audio of that interview is below (be advised, there will be no image with it). Chuck Brown, a Washington, D.C., legend and pioneer of go-go music, has had his ups and downs — he was once a homeless alcoholic — but now, after decades in the business, he just received his first Grammy nomination. Fresh from the Grammy Awards, Brown went "beyond fame" for an audio interview with Contributing Editor Anji Corley, talking about how he discovered his own sound, his favorite rappers and the one thing he can never pass up.